-Mix 25ml of oil, lemon juice, salt, coconut sugar and chopped chilli in the small bowl. (I put them in the covered jam jar and shake). This is your salad dressing. -Cook the sweet potatoes chunks in the microwave for 4 minutes. -Put the rest of the oil into the frying pan. Then add the cooked sweet potatoes, bouillon powder, a pinch of salt and pepper. Keep stirring until the sweet potatoes caramelised and crispy on the outside. 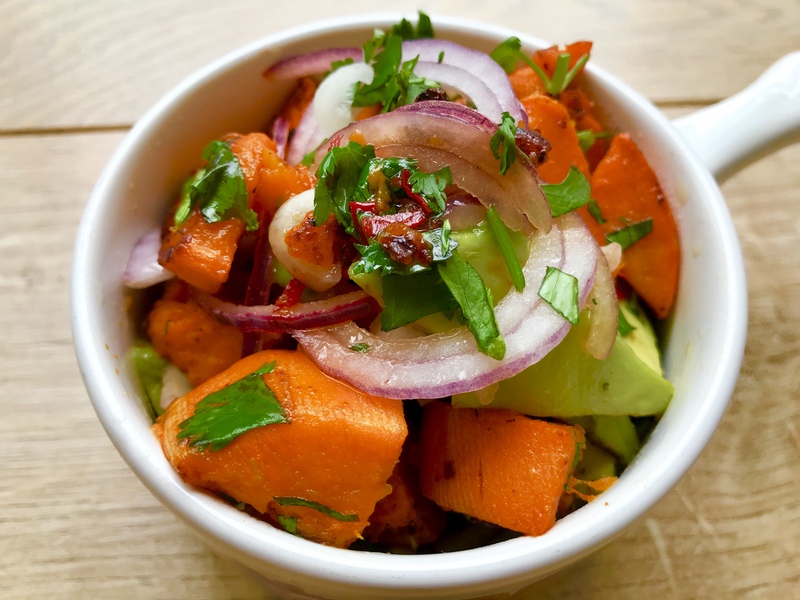 -Put the crispy sweet potatoes, salad dressing, red onion, avocado and coriander into the big mixing bowl. Fold the ingredients together. 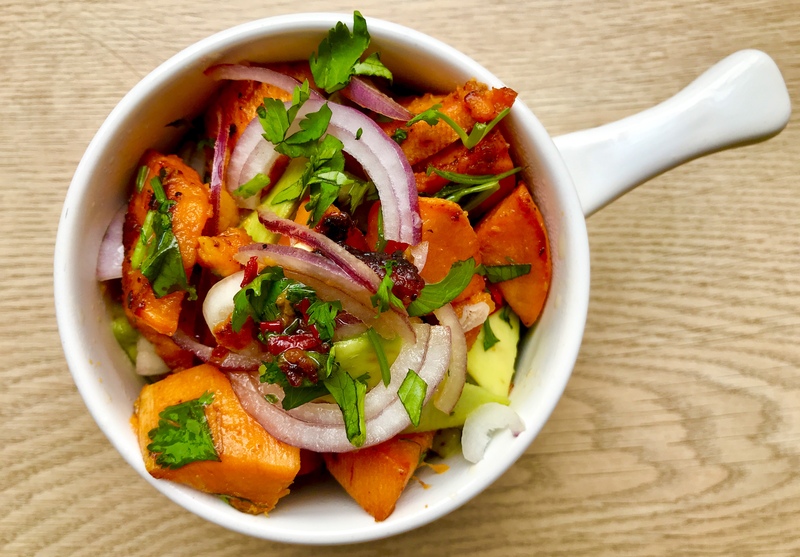 -Serve Vegan Thai Salad immediately if you like a warm salad. Otherwise, it is just as lovely if you served it cold. Happy Cooking! -Do not overcook the sweet potatoes in the microwave as it might be too soft to fry. -Keep an eye on the pan whilst frying the sweet potatoes chunks as they are easily burnt. -Vegan Thai Salad can be served as a side salad or main course.